Texture of eye shadow is creamy and can be easily blended. Highly pigmented, with shimmer in it, looks beautiful on eye and limited but gorgeous colour range. Dries out very quickly and wear time is superb. I wore it for almost 10 hrs and it didn't fade or crease without any application of eye shadow primer, although I have very oily eye lids. Can be wear alone as the colour is very nice and can also be used as a base eye shadow. And you don’t need any eye shadow primer to intensify the colour. I created two looks using the colour Pink Gold. One, everyday summer look and the other one for evening. For everyday look I applied the eye shadow in my socket area and tried to keep the colour below the crease to maintain the soft look. I lined my eyes with soft black pencil eye liner, which surprisingly stayed there for whole time. Applied two coats of Maybelline Falsies volume express mascara. For evening look I paired the eye shadow with fake eye lashed from Eylure Intense , opted the eye liner to not overdo eyes. I blended a little bit of brown cream eye shadow in the crease to enhance it. I’ll must add that I am pretty much impressed with this eyeshadow. It didn't disappoint me. Over all it is a decent purchase. 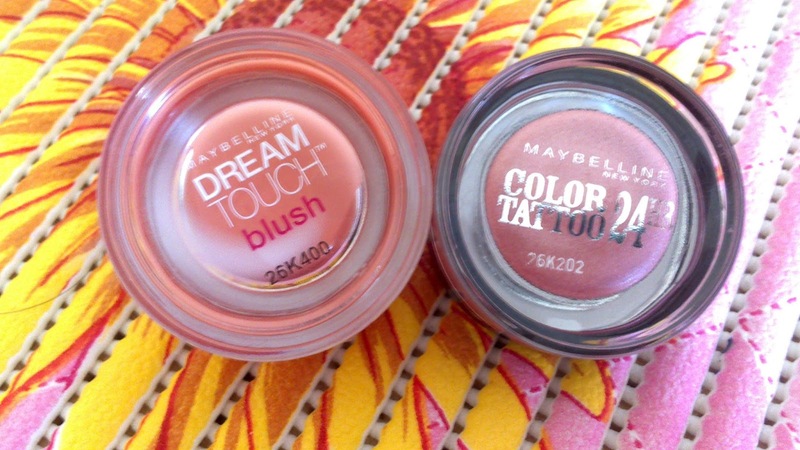 Now the Dream Blush. It’s a cream blush. Melts just right into skin and add a healthy glow. It doesn't make your skin oily which was my main concern, and add a right amount of colour. The colour I picked is 02 Peach. The reason behind choosing this colour was that I wanted a blush for everyday use, which just gives a nice flush to cheeks instead of adding a lot of colour. But for ladies of colour this shade will be very pale and won’t show up but the colour Berry or Plum will look amazing. I have oily skin but still prefer a dewy finish for everyday look. 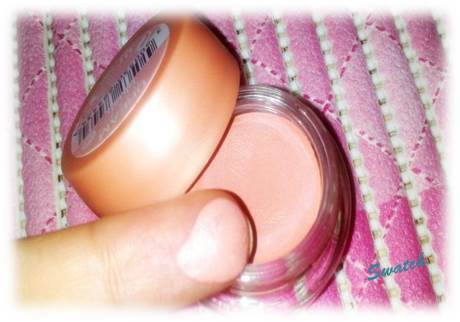 That’s why I like cream blush because they can be very helpful in achieving a youthful glow. The best part about cream blushes is that they are very portable as compare to powder blush. 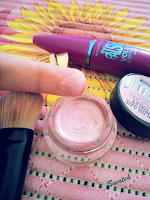 If you are travelling, you can use your finger to apply the blush on the go on your cheeks. Don’t need to carry any brush or don’t need to be worry about any mess. I hope you enjoyed the reviews. Please feel free to leave your comments. They mean a lot to me. I've nominated your for the Liebster Award!